Place a skillet on med-high heat. Coat bottom of the skillet with melted butter. Whisk 2 eggs in a bowl and add a dash of salt and pepper. Once butter is sizzling in pan, add whisked eggs and tilt pan to evenly distribute across the bottom. Cook eggs for about 1 minute (eggs should be cooked on the bottom) and loosen edges. Flip omelettes over and cook the other side for about 30 seconds. 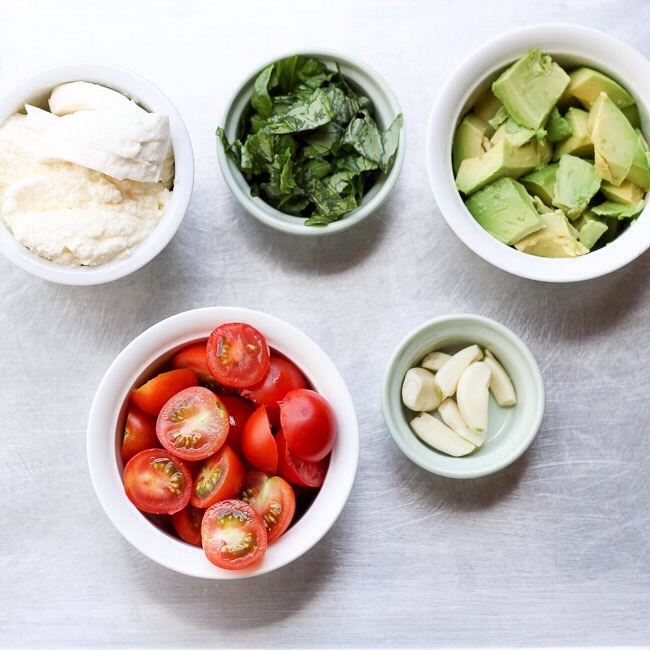 While still on skillet, spread with 2 T of ricotta cheese and 2 slices of fresh mozzarella. Allow cheese to melt for about 30 seconds. Remove omelette and place on a plate. Fix next one. In a skillet on med-high heat, heat olive oil. Then add garlic and sauté for 1 minute. Quickly add in tomatoes and basil and sauté for about 15 seconds. 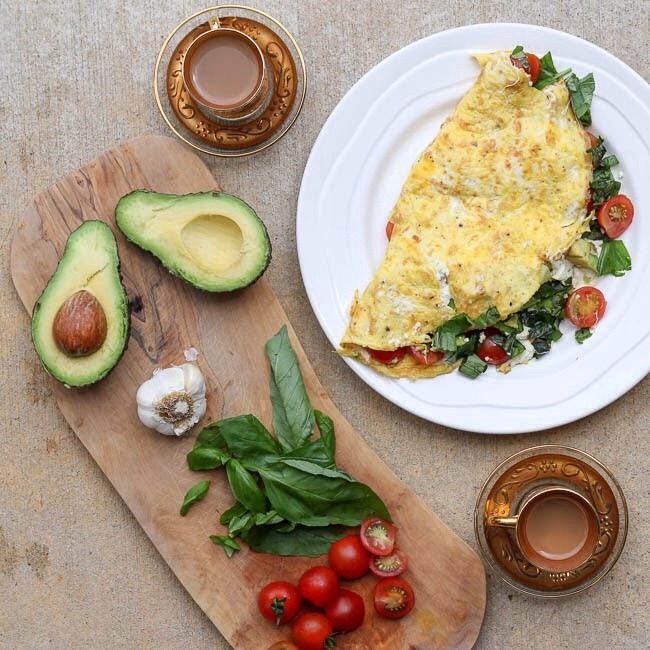 Place filling inside omelettes and top with avocado.